Former Straits Times journalist Tan Tarn How knows a thing or two about controversy. The playwright is best known for penning some of the most scintillating political satires in local theatre, from his infamous The Lady of Soul and her Ultimate ‘S’ Machine, receiving objections in 36 of its 67 pages from the authorities, to his most recent play Fear of Writing, in 2011, where ‘MDA officials’ conducted a realistic raid on the audience. 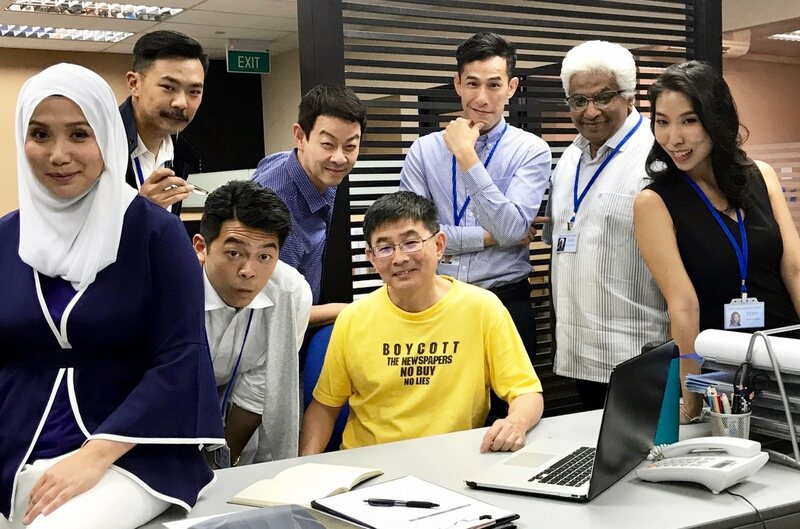 In Press Gang, we follow former civil servant Chia Kin Jek as he joins The Singapore Times, just as the paper’s long time editor is suddenly sent on indefinite leave after writing an incendiary opinion piece about governmental abuse of power. In the ensuing power vacuum, the two deputy editors vie for the absent position, while a new rumour emerges, and if proven true and revealed, could potentially destroy the government. Can and should the newspaper publish this story? In an epic showdown between truth and power, only one can emerge champion at the end of the day. With Press Gang, expect another sharply observed play from one of Singapore’s most daring playwrights, and watch journalism and the media industry come into question in this gripping, electrifying new work to open the 2018 Singapore Theatre Festival.